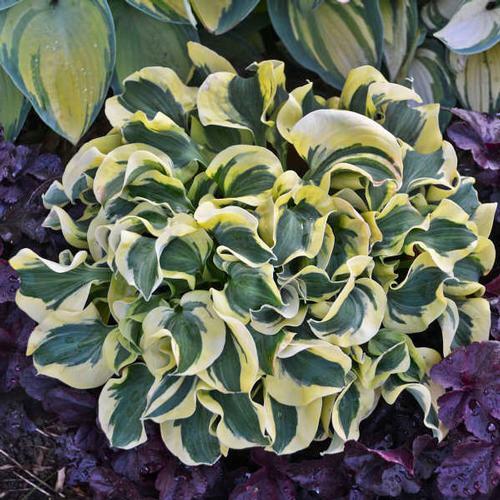 Petite miniature hosta looks like it's whirled and twirled. The playful wavy leaves are a dark green with wide creamy white margins. Thick substance. Pale but detailed lavender flowers bloom on compact scapes early summer. Crowd pleaser.